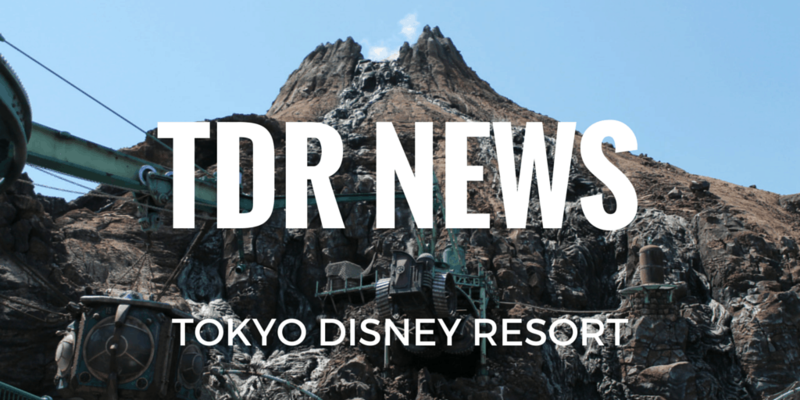 UPDATE 2019/02/19: The Tokyo Disney Resort reservation takes most credit cards issued outside of Japan. It’s best to try your card and see if it works. Have another card ready just in case. 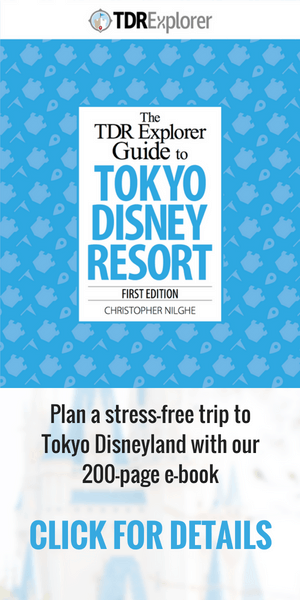 Read our guide on how to book a Tokyo Disney Resort hotel for more information. UPDATE 2016/12/25: American Express credit cards issued outside of Japan are accepted once again on the online reservation. According to the official website. MasterCards are still accepted. Visa and Diners Club are still not accepted. As of November 8, 2016, the Tokyo Disney Resort Online Reservation & Tickets Site no longer accepts Visa, American Express, or Diners Club Credit Cards which are issued outside of Japan. This applies to make reservations for Disney Hotels and purchasing park tickets online through the official website. If you have a Mastercard issued outside of Japan, you are able to make reservations for the Disney Hotels or buy park tickets. This only affects the online reservation system for Disney Hotels and Park Tickets, you are able to use foreign issued credit cards such as Visa in the parks to make purchases. If you have any questions about using your credit card with the online reservation system you are advised to call the Support Desk during business hours. How do I make a Disney Hotel reservation? In order to make a Disney Hotel reservation as of November 8, 2016, you will need to use a credit card issued in Japan or a Mastercard (issued outside of Japan). As an alternative, you can book one of the Official Hotels such as the Hilton Tokyo Bay or Sheraton, which accepts all major credit cards. Guests staying at these hotels are guaranteed park entry and can buy tickets at the hotel. How do I buy Tokyo Disney Resort Park Tickets online? In order to buy park tickets through the online reservation system on the Tokyo Disney Resort website, you need a credit card issued in Japan or a Mastercard (issued outside of Japan). You are able to use all major credit cards to buy your tickets at the park or Disney Stores in Japan. Read our full guide to buying park tickets for more information. Another option is asking your local travel agency (which may cost extra). Another option is buying tickets through Klook. Which is a service we have personally used and recommend. They only offer a 1-day or 2-day park pass, however. They accept all major credit cards and PayPal. Print off the voucher and take it to the park gates and that’s it! As we find out more information about credit cards issued outside of Japan, we will keep this article updated. Does this also apply to JCB cards issued in the US? Glad I got my stay at Mira Costa in back in October since this will make it nearly impossible for a return stay. Seems like they are trying to exclude international guests from their own hotels and push them off-site. According to their website, it looks like it should be OK. But I would phone to make sure. TDR isn’t update about paying at all. Untill recently we can’t use debit cards even it was made in Japanese bank or office. and Apple Pay or paywave aren’t available. I saw on the website today in the last section about payment methods it says something like “sorry, but MasterCards issued outside of Japan will not be accepted.” Now I’m wondering what card I should try and get/if going through this many hoops is worth it. Can you provide a link? To my knowledge you can still use a MasterCard issued outside of Japan. I have made reservations with my MasterCard without issue. This link only specifies Visa and Diners Club. Woah! Alright, I swear that yesterday there was another notice in the “Cardholder Authentication Service” section. It was in red and said as above… My apologies that I seem to have prematurely complained! Luckily I have a Mastercard and will be trying that. Thanks! is it at all possible to book a hotel over the phone with a Visa? To my knowledge, you have to use a MasterCard even over the phone. Visa won’t work. How exactly do they expect foreigners to pay the required deposit? I have just tried booking from the US with my Visa and Mastercard, and neither were accepted. I’m awfully confused. Q01: Can I pay by credit card? –Please note that if you pay with MasterCard, AMEX, Diners Club Card, only cards issued in Japan is acceptable. –Debit card cannot be used. But both my visa and mastercard are declined. Luckily, since hotel guests are guaranteed park admittance, I’m feeling OK about waiting until we actually get to Japan to buy our theme park tickets. We have been informed that you can book over the phone and pay for everything once you get to the resort. The credit card issues are temporary, to our knowledge. The confirmation they faxed to you, was this the only option (they didn’t aren’t able to e-mail it to you)? Thanks a ton! I just made my reservation the same way; apparently this method will only work until April, though, as the resort will require a deposit on all rooms when booking after April 1st. Thank you for the information ARowlingStone. Did the Cast Member tell you this when you were booking over the phone? Thank you! They asked for a MasterCard for the deposit, and when I said I didn’t have one, she said they’ll make the reservation “this time” without a deposit. It felt like they were implying a switch – but I admit this is just my take on what they said. 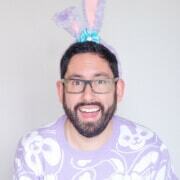 On a separate note, I love your site! Thanks for all the info; it’s been a lifesaver planning my first trip to TDR! Hello to anyone reading this, I recently booked a vacation package though the Tokyo Disney website, and wanted to share my experience in hopes to help others. After reading this blog I applied for a MasterCard, specifically a Barclay card because it was said to have worked. Guess what? It didn’t. They also had the absolute worst customer service ever. After trying 4 different cards with no luck, I decided to call my credit card company. I used a visa venture one by Capitol one. All you need to make a reservation is a card that is visa verified, or MasterCard secure code. Call your credit card company and tell them you are about to make this transaction and ask them to approve it, or even better do it while on the phone with them. Also if you have a booking though Tokyo Disney website you are able to make dinner reservations a month before your arrival date. Make sure you make an account on the Tokyo Disney website and fill out all the info that is asked. Trying to buy Disney tickets online was the WORST experience! My Mastercard went through after we called the ICS desk and they cleared the payment. I agree that it is a nightmare buying online tickets for Disneyland Japan. I spent 6 hours in total and still cannot get it done. The system kept looping me to login again and again. Even Singapore issued AMEX cannot be used. Only Mastercard. How do you pay for security deposit when checking in to the hotel. My credit cards wont work. I keep getting declined. i was able to book the hotel with my US Visa debit card. Would they be able to accept it too for the security deposit? My credit cards wont work in their website. Was able to use my BOA Visa Credit card. I just had to call. Isa and BOA for a 3D 2.0 authentication of my card. Reserved a vacation package for 3 days 2 nights Disneyland Tokyo Hotel. Can’t wait! Is there ANY OTHER WAY to purchase the tickets or am I needing to ask for something specific from Chase? I also have a AMEX which carries the authentication and it looks like it would go through but then in after all of the authentification steps it declines. I was able to get my room booked a few months ago and ironically I am considering cancelling it and booking through bookings because it is way cheaper. But … I cannot get these tickets purchased. I should add… I need 4 day passes. DVC Member who can’t even buy park tickets… I am sure there is a story here somewhere. HAHAH!